You’re performing well in your job. And now it comes time to ask for a raise. Or do you ask at all? How you handle this key discussion is vitally important to determining both your career and salary trajectory. I’ve managed hundreds of people over the course of my career. Some handle the request for raise well. Most do not. There are two keys to keep in mind when asking for a raise: timing and content. Regarding timing, this is where most employees make their mistake. They most often ask for a raise after the annual raises have already been given. The salary increase falls short of expectations, so the employee comes in to ask for more. The problem with this timing is that, with most medium to large employers, there is a defined salary increase pool. By the time the increases are announced, that pool has already been depleted. So you need to ask for a raise before the salary increase pool has been divvied up. When is that? Look at the prior year timing of salary increases and back up at least 3-4 months. Often, this can be just before or just after the beginning of the fiscal year. If your employer is on a Jan 1-Dec 31 fiscal year, the most common time for this planning to be taking place would be December or January, even though the actual increases may not go into effect until March or April. One other aspect to timing is what is considered requesting a one-off increase or outside-of-plan increase. These increases are much more difficult for a manager to obtain and most often are related to either: a) promotion; or b) retention. So if there is a mid-year promotion, funds are typically available for salary increases to bring the employee in line with the salary range for the new role. In the case of retention, this most often happens when an employee is being courted or, more likely, being offered a role at another employer. Many corporations are reactionary with salary and may only bring the employee in line with the external market if/when an offer is made to an employee. The cost of retention is almost always less than the cost of recruiting and training a new employee. But this should be a last-ditch salary increase for both the employee and employer. 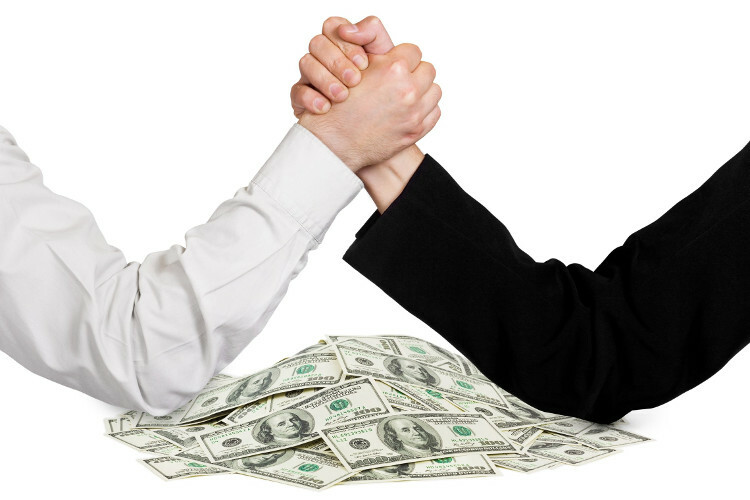 In most cases, the best salary discussions are in line with performance on an annual basis. If you are proactive in asking for a salary increase early in the cycle, the other key is the content of the discussion. When employees come in after the raises have been assigned, it is often a reactionary discussion which forces the manager to defend the increase, since the salary increase pool has already been assigned. However, if the discussion takes place early, it can and should be about two things: 1) your value add; and 2) your market value. This is a great prep discussion to have with your manager ahead of the performance review cycle, which is the typical driver of your salary increase amount or percentage. Affirming your value to the team over the course of the past year will remind the manager of the areas where you have contributed to the key deliverables. This, in turn, is a setup for a positive performance review and discussion of market value. A reminder to your manager that you get calls from recruiters at competitors asking you to consider other opportunities will help to establish market value rather than internal value. If you are to be retained, you will need to be paid market value. The problem with most corporate salary increase cycles is that they are cost-of-living driven, while employees are market value driven. So while the external cost-of-living (COL) may have increased by x% in the past year, you have increased your marketable skills by another year of experience, so your actual increase should be COL + value add. Simply paying you a cost-of-living increase does not take into account your increased value in the marketplace. Unfortunately, many employers will not adjust to market unless and until the employee has an external offer. The other issue many employees face internally is that they may already be at or near the top of the internal range for any given role. At that point, your only breakout option internally will be promotion. This will give you a new range within to seek higher than COL increases. Early in your career, you should be looking for promotions every 2-3 years within your first 10 years of work. Not just a new job, but a new level. That will keep the salary increases coming at COL plus. So what if your salary is not keeping pace with the external market? At that point, your only choice may be to seek opportunities externally. But don’t do it simply to generate an internal counteroffer. Most who accept a counteroffer end up leaving within 12 months anyway. So once you start down the path of making an external move, commit yourself to finding and securing your next best step in your career. You are seeking an employer that more highly values your skills than they are being valued internally.